Cassava has leaf which as Vegetables and usefull to increase our blood. In daily life Cassava and its leaves are very popular into various consumptions. Can also consumption, Cassava also be used as a unique and creative food business. Well, how to make cassava into money? This snack is very popular for every people. In Indonesia, it's usually there are several kinds of cassava chips, such as Chips Cassava Balado Spicy, Chips Cassava Flavor, Cheese Cassava Chips, Sweet Salted Cassava Chips, Cassava Chips Jengkol anchovy, Cassava Chips Red Sugar and many more types of Cassava Chips. The simplest way to process cassava is to fry or boil it. Can be addet with a spicy sauce then this food is much loved by all people. With a choice of soft cassava and brown then when in Fried or boiled will look soft and delicious. Gethuk is the food name that comes from cassava. Gethuk usually found in Java, Indonesia. 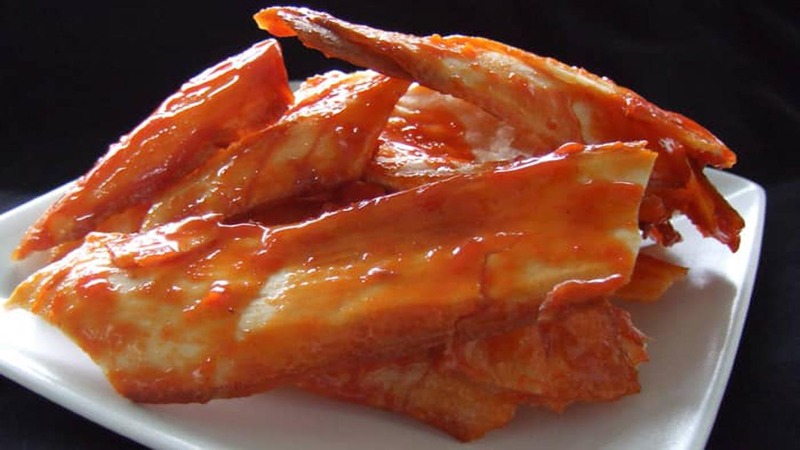 There are various types of getuk that is Fried Getuk , Getuk with Sugar, Getuk Lindri, and many other types. Actually, this food type always give a sweet taste in it. So if you have diabetes, do not eat this food. With special ingredients and spices, you can make Cassava compote with a delicious and unique taste. This food comes from a mixture of coconut milk, cassava, brown sugar, pandan leaves, and also cassava. So, if you have diabetes, do not eat this food. Well, that's all about Top Culinary Business From Cassava You Should Try and Get High Income. We hope this article can inspire you and produce more enterpreneurs in your country. Please share this post to your friends, and comment below for our feedback.